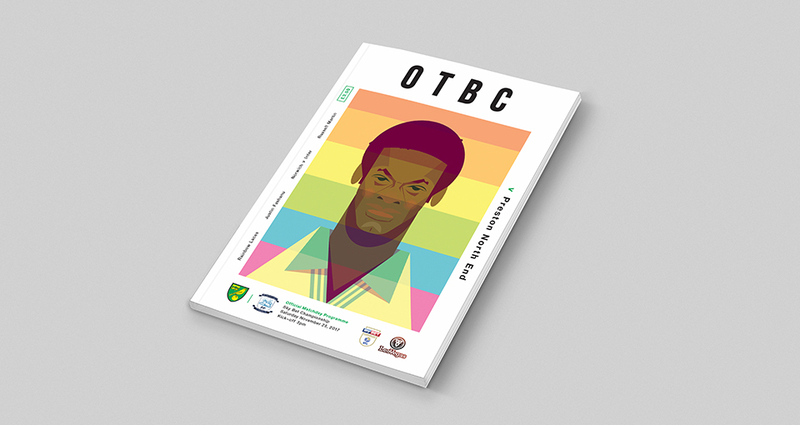 With Norwich City supporting Stonewall’s Rainbow Laces for the game against Preston, we felt it would be a nice touch to pay tribute to the late Justin Fashanu on the front of the matchday programme. Justin began his football career at Norwich and became an eternal hero for The Canaries in 1980, with his spectacular goal of the season against Liverpool. It’s one of the best goals ever scored at Carrow Road and well worth replaying on YouTube! The cover artwork is by Glasgow-based illustrator Marcus Marritt, who has created a retro portrait of Fashanu with a colourful rainbow background to represent the LGBT community in football. The piece was originally submitted to us by Marcus for a football art exhibition we hosted in Norwich 2 years ago but with such a striking relevance to the game today, it’s well worth showcasing again. 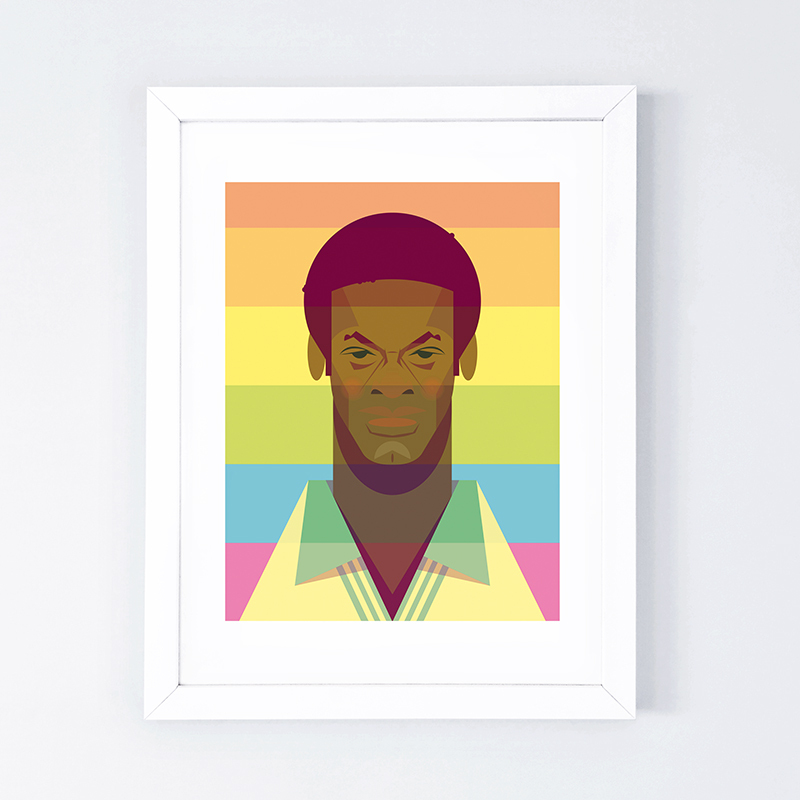 "As a player, Justin Fashanu was the generation before me, though I have known of his influence on the game for some time and it was a pleasure illustrating the portrait of a man who represents the LGBT community in football. For this piece I used a different style to my usual work, wanting to capture the generation of his playing days in a Panini sticker type format, with a pastel washed colour palette in referencing the photos we have of Justin. With the iconic LGBT rainbow colours as a background wash – I wanted to communicate Justin the footballer in his kit, and a reflection of the man behind the shirt."